Prior to watching World War Z, I was wary about the movie because I thought that the trailers didn’t demonstrate the aesthetics of the quintessential idea of the zombie enough for me to formulate an opinion on whether I should go watch it or not. 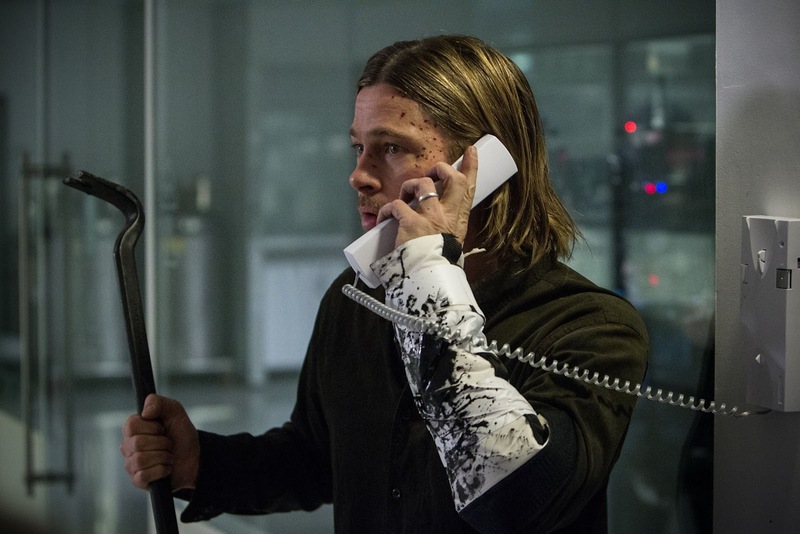 To my pleasant surprise, World War Z delivered more than just what seemed would be a wave of zombies coming your way. WWZ follows Gerry Lane, a former United Nations worker, and his family as they deal with what ensues from the apocalyptic happenings as they are separated from one another when Gerry is called back into action. Brad Pitt emulates the desire to be reunited with his family amazingly throughout the whole movie and while his family does offer a strong suit to the metaphoric glue that holds the film together, Brad Pitt is able to remind the audience about Gerry’s family through his performance. I feel like a lot of zombie movies try to hone in on the surface issues, the main one being escaping from the mayhem, but this movie scratched the surface and took us deep into the issues of an apocalyptic world. It truly made you feel for Gerry as he visited dangerous place after dangerous place when he had family to return to. Emotionally driving such a central point in the film worked fantastically for WWZ because it is something that stays in your mind and while watching you just can’t help but think about whether or not he’ll return to his family. It was also great that the film didn’t remain in one place and we got to see how so many other places were dealing with what was going on. A potential downside to WWZ, if you’ve read the book, is how much the movie deviated from what happened in the book. Book readers tend to be very critical when many changes arise in film adaptations and this transition from book to movie is sure to have people talking. The book offers individual accounts and lets you into the lives of all sorts of people. I think that staying true to the book could have added a really interesting dynamic to the movie as it would have showed drastic changes everywhere. While glimpses of what was going on in other places were great (and arguably necessary) to have, the book offers up a more diverse take, which could have really worked on film. Besides that, I think that WWZ is definitely worth seeing. It offers more than just what you would expect from a zombie movie and shows that sometimes less is actually more by keeping the gore at a low (not such a bad thing in this case) and giving the audience both a micro and macro insight into the outbreak.